One of the great advantages to having a roommate who has lived in Norway for a year is that he knows just about everyone. 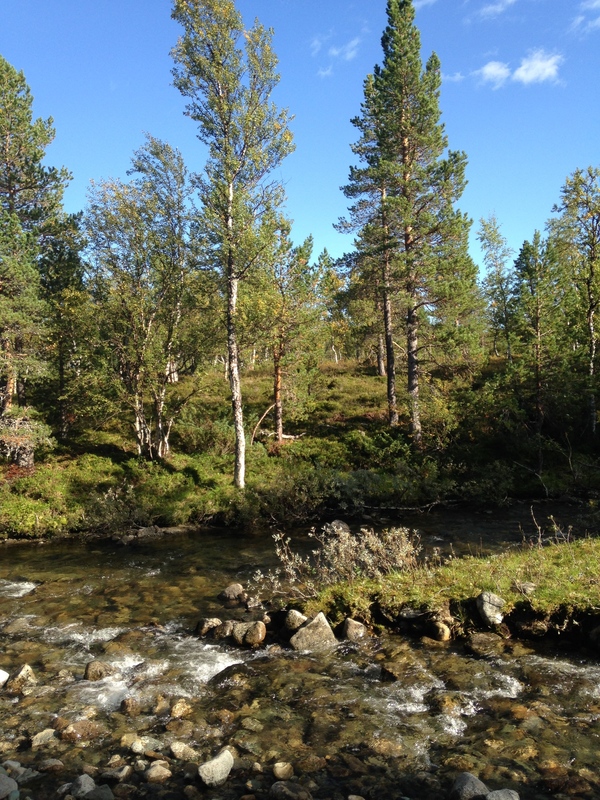 This week it meant that I had the chance to go on a cabin trip that one of his friends had organized in Vekvessætra. Because the cabin was large enough to house 20 people, two cabin groups ended up merging to form what was ultimately a group of 24 people (don’t worry we didn’t wreck the cabin, some people slept outside in tents). The cabin was really quaint and even came with a traditional wood burning stove and an outhouse. Because we arrived at the cabin in the late afternoon we didn’t actually get to do too much hiking. The hiking that we did do involved trying to find a lake…and instead finding a swamp. Two of the boys ended up trekking through the swamp until they found the mythical lake, but the rest of us turned back after getting thoroughly muddy and getting our feet soaked. The real highlight of the evening was getting to see the Northern Lights! Of course I didn’t bring my camera since I thought that nothing exciting would happen on our trip and the Northern Lights typically appear in winter. That was clearly the wrong packing choice. Sadly my iPhone wasn’t able to capture the Northern Lights because they were pretty faint. 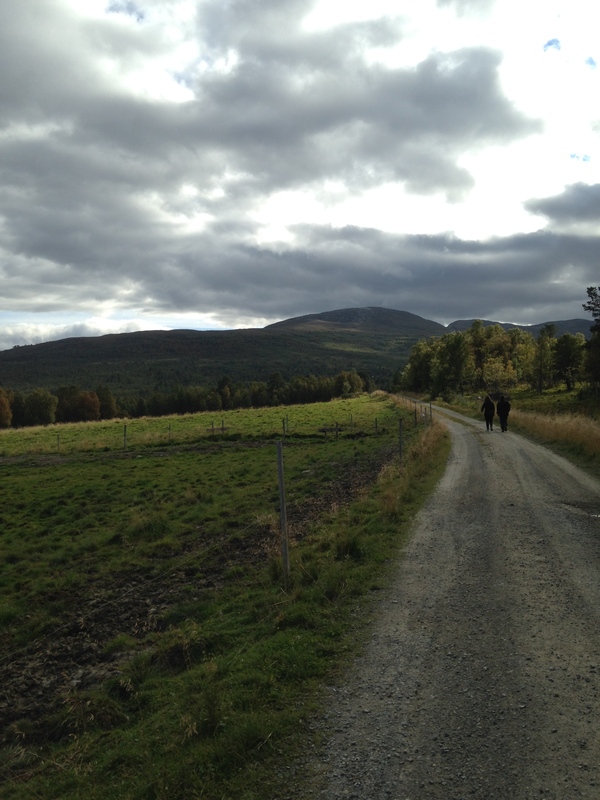 Anyways, there are a few important things to know about cabins and hiking in Norway: both things are a huge part of Norwegian culture, and it’s traditional for Norwegians to go on hikes on Sundays. 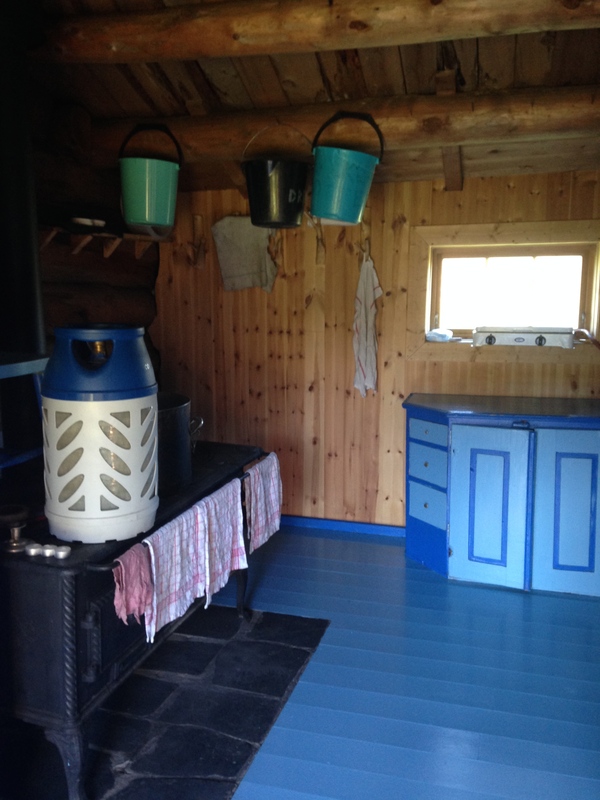 There is also a pretty extensive cabin system throughout Norway, and you can rent a cabin from the Norwegian Trekking Association (DNT) for fairly cheap. Things get even better because once you are actually in the wilderness you can drink straight from streams and eat any of the wild berries. 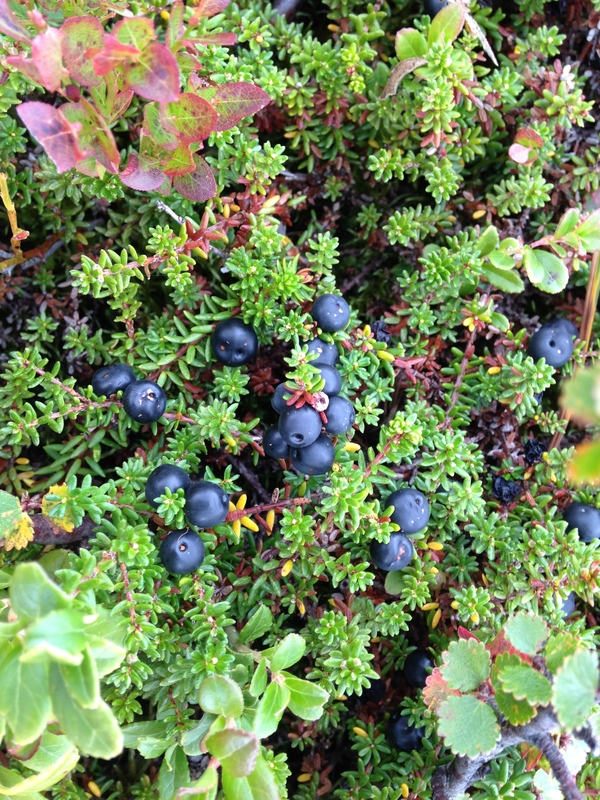 My group personally liked gorging on the wild blueberries. 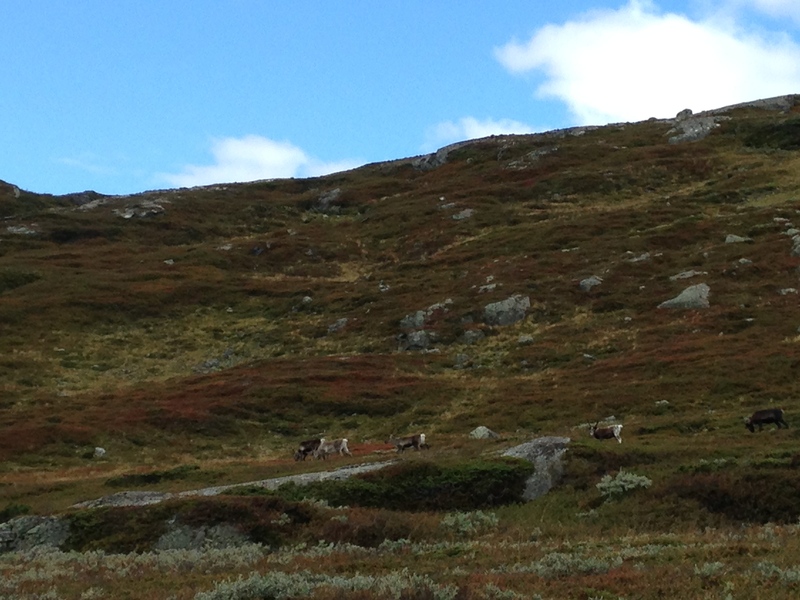 While our second day at the cabin did include slogging through a few more swampy areas we also got to see reindeer! They popped up out of nowhere and proceeded to calmly run around the mountain (and I admit they were doing a much better job than we were). We almost reached the summit of the mountain but decided to turn back at the last minute due to the weather. We ended up taking a slightly different route back from our original one, the result being that we got lost for two hours. While we had brought a map with us, it ended up being fairly useless since it didn’t have any features on it other than mountain contour lines. Our struggle to navigate back to the main road included wandering on a narrow ledge between a river and an enclosed pasture, talking to an elderly Norwegian man who couldn’t speak English, and asking for directions from a family that was quite literally gold mining in the river. Luckily we managed to find a cabin that had a road leading back to the main road. I don’t think I’ve ever been so excited to see pavement in my life. All in all it was a truly charmed trip since I got to see both the Northern Lights and wild animals. I’m already looking forward to the next one!